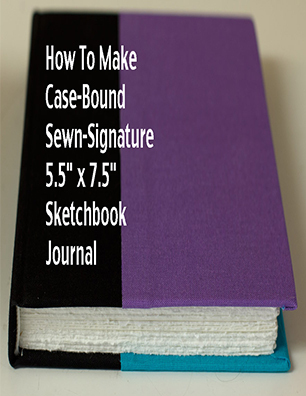 As I learned how to bind my own journals I began updating a step-by-step file on how to make a sewn-signature case-bound book. I’ve gotten lots of help from my friends Shirley, Roz,and Kate, as well as from numerous books and online videos which I’ve linked to in this guide. I continue to update it as I learn and bind more books. Click here to download Jana’s Bookbinding Steps (pdf) that provides instructions for making a 5.5″ x 7.5″ case-bound journal like these. I put together this “cheat sheet” for myself on how to measure for mat cutting, how to shop for materials (written back when I did all my shopping at a local art store) and some tips for mat cutting using a Logan Simplex Mat Cutter (which comes with very good specific directions for basic use). Click here to download JANA’S NOTES_ON_FRAMING (pdf). The Creative License: Giving Yourself Permission to Be the Artist You Truly Are (The book that inspired me to start drawing again. Danny Gregory kickstarted the sketching/illustrated journaling movement with this book. His writing and art continue to inspire me. Alla Prima II Everything I Know about Painting–And More This is a comprehensive guide to Alla Prima painting from a living master. See this blog post for links to many excellent resources for studying human anatomy, figure and portrait drawing and painting. Bee Paper Super Deluxe Sketch Pad, 9-Inch by 12-Inch Relatively inexpensive and not precious so freeing to use as a result, but good sturdy paper that allows some reworking and then doesn’t, forcing you to stop before you overwork it. Great for ink, watercolor, mixed media, gouache. It does buckle a bit but relaxes to flat after it dries. Having the right brushes and palette really make a difference! Strathmore Mixed Media Art Journal is a good surface for gouache. Grafix Matte 0.005 Dura-Lar Film, 9-Inch by 12-Inch, 25 Sheets I love using this material for oil painting studies. It is so inexpensive compared to panels of any kind. I just tape it to a piece of white plastic or foam board and start painting. It’s like painting on the finest oil-primed linen and is even more archival. When it is dry, if I want to frame it, it can be mounted to a Gessobord. For storage I keep it in a clear envelope with a cardboard backing board. Ampersand Gessobord is my favorite surface for oil painting. This is still a work in progress…studio lighting seems to be my nemesis, the final frontier and lately I’ve been working mostly with natural light plus one bank of 4 overhead 5000K 93 CRI fluorescents. For lighting still life I like to use an LED 4000K spotlight and if I have to light my easel this LED 4000K floodlight clamped to a rafter above my easel to light my canvas. The 4000K lights are a nice middle point between warm and cool colored light bulbs and don’t produce heat that can affect flowers or produce.